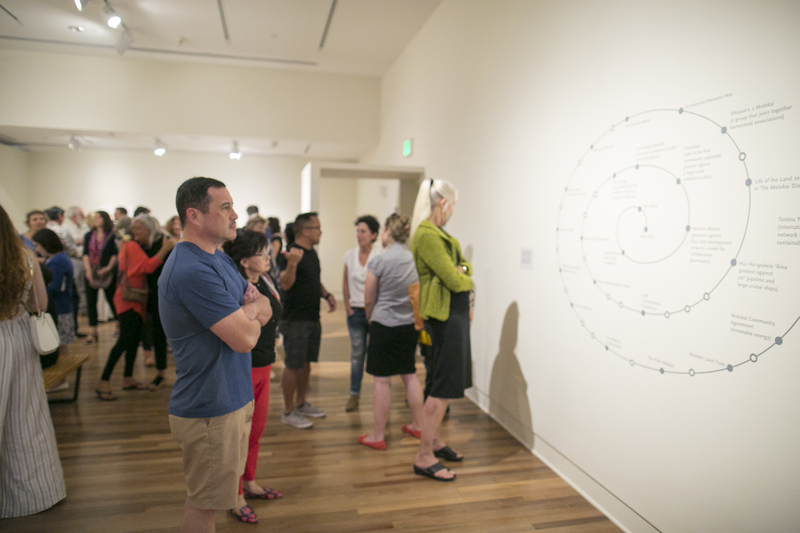 A who’s who of Moloka’i community leaders gathered at the museum on April 25 for the opening of Molokai Window, an installation by social practice artist James Jack. 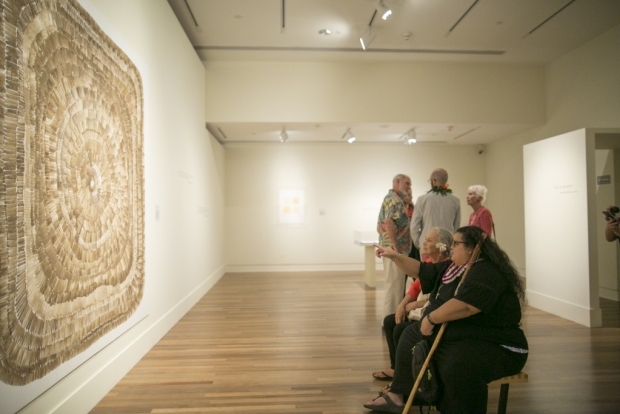 On view in the John Dominis and Patches Damon Holt Gallery of the Arts of Hawai‘i, this new exhibition tell stories of the people of Molokai—through dirt. It is a palpable visual interpretation of their deep connection to their land. Native Hawaiian activist and educator Walter Ritte and fellow activist and founder of Sust ʻāina ble Molokai Malia Akutagawa were in attendance, along with Jack, who worked with students from Honolulu Community College to install his show. 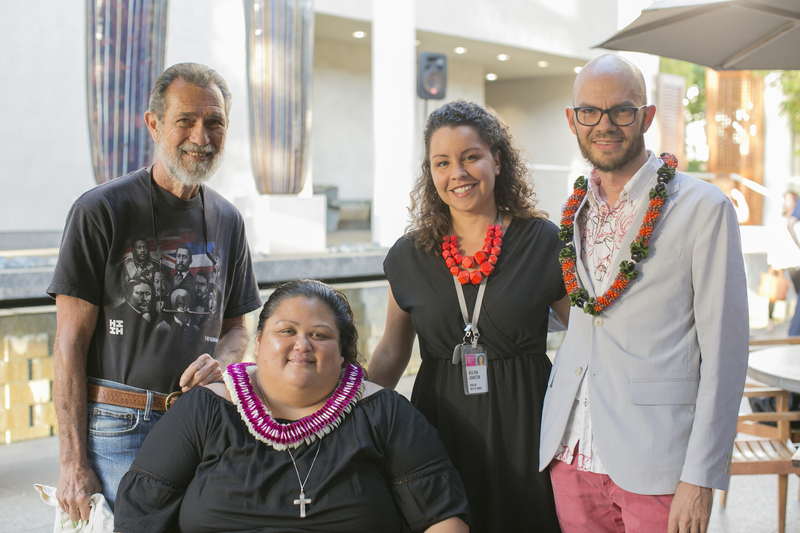 “It was an honor to have Malia and Uncle Walter share their knowledge with museum members,” Interim Director of Curatorial Affairs and Curator, Arts of Hawai’i, Oceania, Africa and the Americas Healoha Johnston says. In fact, it’s because of these very community leaders that Molokai Window was even possible. Inspired by Molokai’s commitment to and leadership in sustainability and aloha ‘āina, or love of land and love of country, Jack proposed a collaborative project to Johnston in 2015. He added that if the Molokai community didn’t want to engage with the project then it wouldn’t happen. A few years, much research, and many face-to-face conversations with Moloka’i community members later, Molokai Window came to fruition. 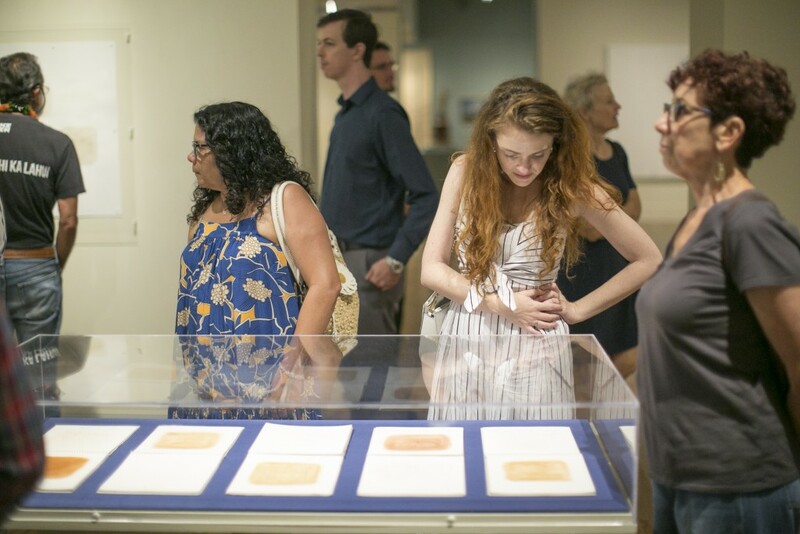 Johnston was thrilled to see guests completely enraptured by Jack’s dirt rubbings in notebooks and a large dirt painting on an oversize panel. “People told me how the sketches completely captured the essence of Moloka’i,” says Johnston. 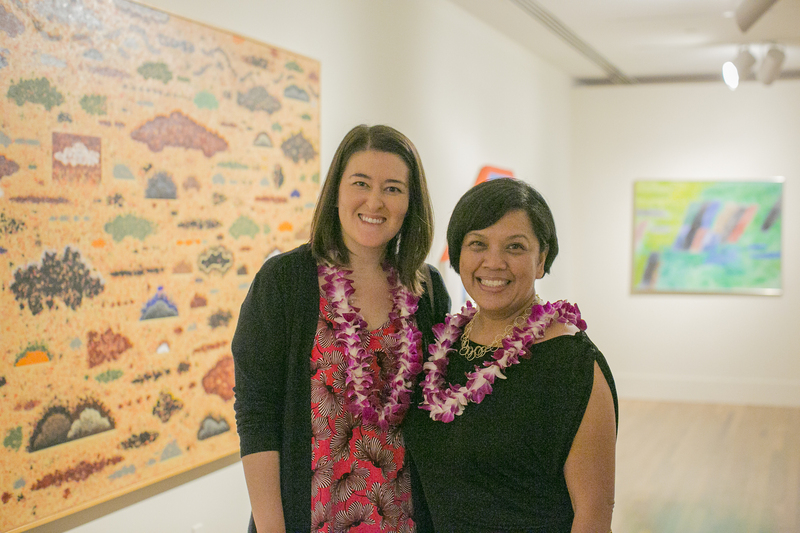 “Molokai Window” is on view until September 16. The exhibition is supported by the Laila Twigg-Smith Art Fund of the Hawai’i Community Foundation and is sponsored by Aqua-Aston Hospitality.